Jesus Motta has had many domestic problems in the past but now, he is in jail for murder. Investigators say he killed his tenant during a heated confrontation. One lit candle is in front of the home where the body of a 26-year-old was found in a bedroom Tuesday night. Officers showed up to the house after getting a call from someone who had just spoken to Jesse Motta. “The caller was an acquaintance of our possible suspect and had spoken to that suspect and had said that there was a physical altercation at the location and quote unquote something bad had occurred,” Dave Ramsey with the Fresno Police Department said. Neighbors say Motta is well known on the street where he has lived for many years. Investigators say Serena Ramirez was killed by a man with a troubled past. Motta was on parole and law enforcement was common visitors at his home. “He had an ankle thing on his leg and he would always take it off and the cops right away they would come, because you know it had a little alarm or something on it. 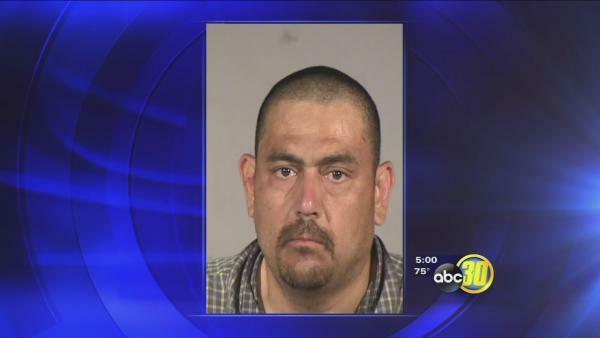 And they would come and pick him up you know or they would find him down the street,” neighbor Sylvia Castillo said. Three miles away from the crime scene, down Kings Canyon, officers tracked down Motta Wednesday morning near the McDonalds. He was arrested and booked for murder. Several neighbors who live on South Woodrow say Motta is often loud and there are problems at his home all the time. Just a few weeks ago neighbors watched as Motta battled another tenant. “He came out and he got the bat and he hit some guy that was living with him really bad and he had him bleeding in the forehead of his head and he chased him down Kings Canyon,” Castillo said. Police aren’t sure what sparked the deadly fight on Tuesday, but they are interviewing friends and neighbors hoping to piece together what led to Ramirez receiving fatal blows to the head. Investigators aren’t saying whether anyone else witnessed the murder but some neighbors said they did hear shouting before police showed up and discovered the woman’s body.